To make your WordPress website complete, it is necessary that you will not only focus on putting contents on the center of your site but adding some plugins to keep your sidebars filled with relative topics or widgets. For your sidebars to be filled with enticing contents, choosing any of the best free WordPress sidebar plugins will make your website a well equipped site packed with helpful information. Being able to have certain choices for plugins you can install on your website only means that you can offer much more things to your visitors. If you want to keep up with your social accounts while browsing through your website, then this plugin from Tawea is sure to be the best thing that you should put on your side bar. You can decide whether you want private or public chats as you use this plugin. It is free and the toolbar for the plugin will be built-in. There are many people who love to just brose through blog sites and being able to update your readers and visitors about your recent posts will allow you to have an easy time updating visitors. With installing this plugin, you can put the latest post you have in focus on your sidebar and even style it according to your preference. If all you want for your website is to make everyone browse through related photos from Instagram, then this plugin is just the right one for you. The images can be placed on the sidebar that is sure to make your readers have fun looking through the images posted on the site. 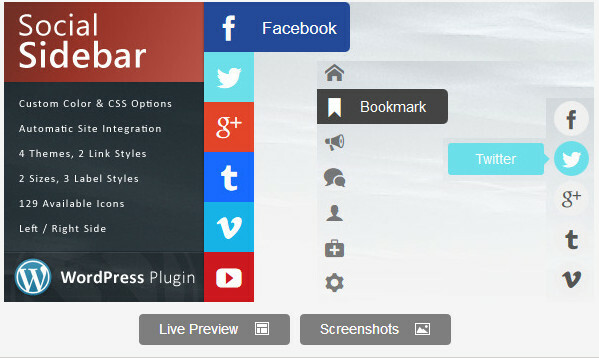 This is the perfect plugin for those who want to keep the statistics of their blogs updated. You can keep track of the visitors on your site and just get the statistics updated daily. The statistics can be shown just on your sidebars, making it easy for you and your visitors to see how many people are visiting and trusting the site. Displaying your posts in various ways possible is sure to be easy and convenient with the use of this plugin. Whatever you want to post on your side bar like the most recent contents you have posted, most popular posts or posts where people have commented the most can be placed on your sidebar. You have the option on how you want the things will be posted on your website. Given all these best free WordPress sidebar plugins, you will surely have many options on how you want to keep your readers and visitors updated of information you want to share. Using of the given plugin options, you can always have your own way of personalizing the things you want to share from the contents and information to the style of showing these things.